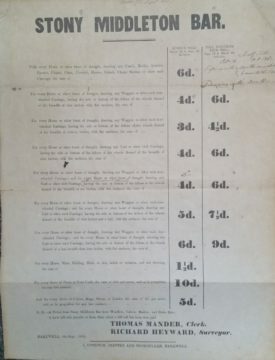 New toll charges issued in 1862. September 1862 saw new toll-bar-charge take effect at Stoney Middleton. All who passed through the village would have to pay a toll for the privilege of taking the road. 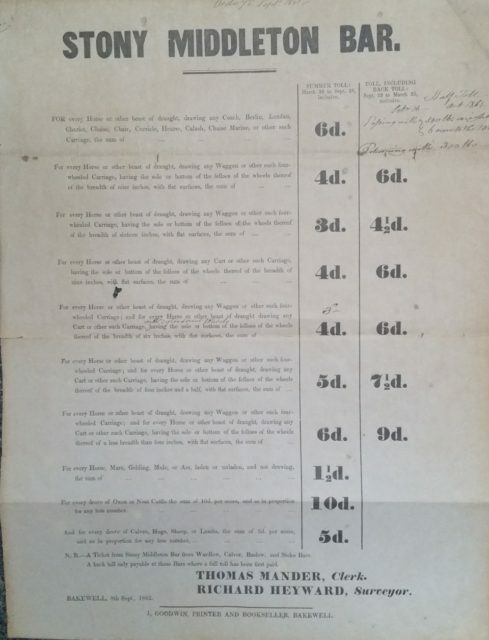 Open the pdf above and look at the categories of charges, an indication of the traffic expected to be passing through the village in 1862. 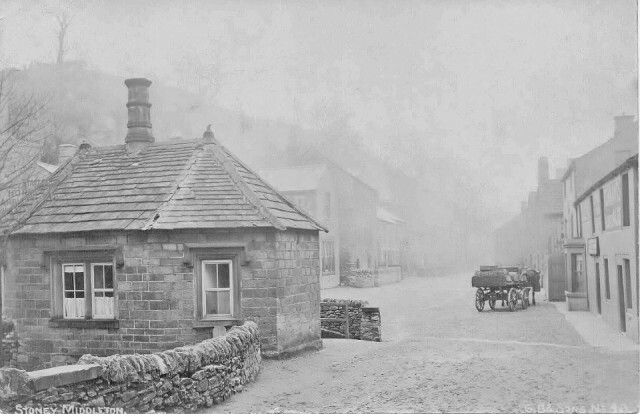 In 1840 William Morton of Froggatt a stonemason, and George Buxton a joiner of Stoney Middleton built the Toll House for £144.00 to charge for the use of the road. Its octagonal shape was designed to match the village church whilst its intended second floor had to be omitted due to lack of funds. It is the only grade II listed chip shop in the country, opened in 1926 by Herbert Ford before being purchased in 1944 by Elenor Hall who ran it until 1970; She replaced the original coal fuelled fryer for gas and closed off the roadside doorway moving it to its current side location.